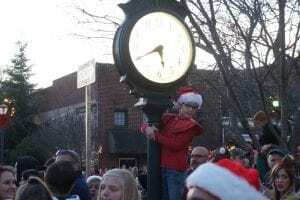 ELLIJAY, Ga. – The downtown area of Ellijay was rocked by an historic crowd for its Light Up Ellijay festivities, which echoed throughout the county. 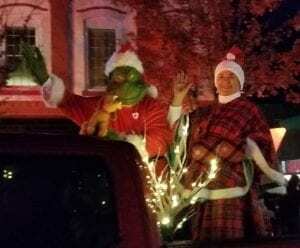 Citizens have responded in various ways and have voiced opinions as to the success or detriment of the Return to Whoville themed event. However, they are not the only ones responding to what some merchants called “Who-mageddon,” a jovial moniker made possible by a lack of major incidents during the event. Indeed, with additional responses from not just Ellijay’s police force, but county fire and rescue personnel as well, the event had only one reported incident, which involved a missing child. According to officials, the child was found within 15 minutes of searching. This was an outcome Ellijay City Police Chief Edward Lacey said the town was very lucky to have accomplished. While acknowledging the unanticipated crowd, Lacey said his officers performed “admirably,” going so far as to say they gave “150 percent.” Lacey also confirmed with FYN that despite their efforts, the event would have been a lot worse had they not received backup from firefighters helping out with crowd control. 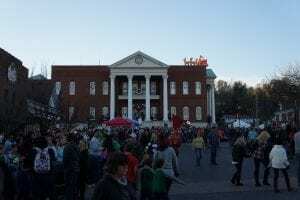 According to the permit issued by the city of Ellijay to the Downtown Ellijay Business and Community Association (DEBACA), the organization expected a maximum of 5,000 people at the event. While no one could confirm details, reports have varied as to the cause of the dramatic increase. From a few viral videos to a radio station picking up the story in Florida, rumors continue to swirl with no real specific answers. 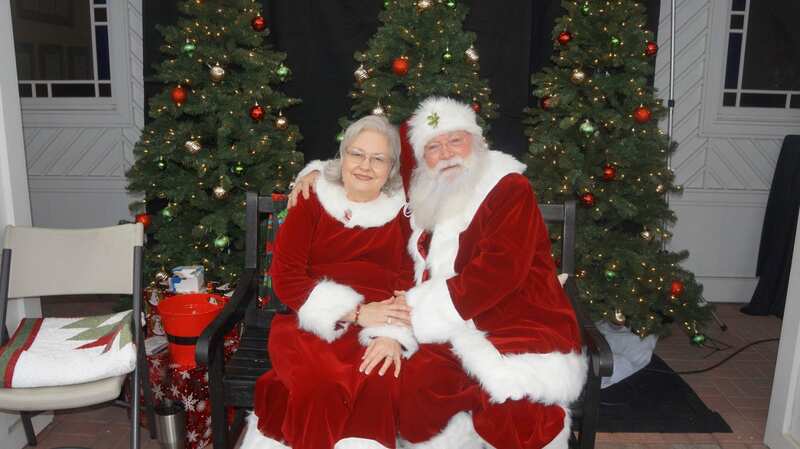 However, DEBACA reported they noticed over 70,000 clicks for Light Up Ellijay in the week leading to the event. After the night was done, license plates were seen from over nine states, according to officials on scene. Ellijay Mayor Al Hoyle declined to comment about the meetings and processes involved since Light Up Ellijay, but he did speak about the people who attended saying, “That paints a very positive picture of Ellijay. The name ‘Ellijay’ is known, obviously, and it drew that big of a crowd, and that’s great.” He went on to comment that with the quality, he sees future events growing as well. People already began spilling into the street as earlier as 4:30 p.m. an hour before the tree lighting. Speaking with DEBACA Chairman Steve Cortes, he echoed the sentiment that attracting the crowd was a success on its own. This is the first time the association has hosted the event after transferring the event from the Downtown Development Authority. In fact, not only did the Ellijay Police receive help during the event but also invited members from the Gilmer Sheriff’s Office, Gilmer Fire and Rescue, the Gilmer Chamber, DEBACA, East Ellijay Police, Ellijay Fire, and others to an after action meeting that is usually only held with Public Safety. Lasting more than three hours, the meeting saw members from each entity delving into the event separating out things that did happen versus things that should have happened during the event. Specifying the disconnection between those two ideas led to discussion and thoughts on future events. A few specific issues came to light in the meeting regarding logistics for things like the addition of vendors for the event, the opening of bathrooms for the event and parking and traffic due to the crowd. Chief Lacey told FYN that the meeting and input from all involved will be considered as he creates his report and in moving towards future events. Cortes also commented with FYN saying another issue with the crowd comes with future events. Not knowing if they should prepare for a similar crowd to this year or preparing for something lower is part of the stresses of planning. 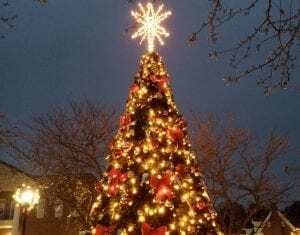 Cortes suggested they would be looking at the upcoming events throughout the year, such as St. PETrick’s Day and Independence Day, to gauge the response they might see at Light Up Ellijay. One of the bigger points in the meeting addressed a lack of communication and response from parties involved. Addressing understandings of the permit process and amending it paired with controlling and coordinating the multiple entities became a larger focus. Suggestions on dealing with these issues led towards future events seeing use of Instant Command Structures (ICS) and the Emergency Operations Center (EOC). EOC is a fusion center of resources that officials say are used to manage and communicate across the different entities of public safety. Fully activated EOC’s could also include members from all sorts of other entities; in Ellijay, this could include mayors, council members, DEBACA members, or more. As explained in the meeting, this would allow instant access to cross-force resources. The EOC concept also answered issues with traffic. A crowd of the size seen downtown not only gridlocked traffic after 5 p.m., but also clogged emergency access through the area. One hypothetical example of the EOC given at the meeting suggested an issue arising on Hwy. 282. The EOC could coordinate a nearby sheriff’s deputy to the location faster than any other. A more immediate response from a sheriff’s deputy in the area means far lower response times in the face of gridlocked traffic for citizens. Somebody tracking and directing all requests would streamline services and resources in that instance to better control and guide arising issues, whether they be safety-focused or logistically focused through those involved. In addition to the EOC, pre-made ICS would be available to handle situations where pre-planned events escalate to any sort of emergency, for example if a driver had grown so frustrated with the crowd that he or she ran people down. Crowd size sends one child up the clock downtown in an attempt to see the nights events. While this may seem extreme, Lacey told FYN these are the issues that police deal with everyday. They must prepare for the potential issues that could grow out of events with crowds like we witnessed this year. An approach that imitates an old saying, “Hope for the best, plan for the worst,” is one that the city police face daily in protecting and preparing for situations despite a common thought that such instances would not happen in our town. In fact, part of Lacey’s research into parades garnered 56 total headlines in newspapers, with 55 of those occurring since July 2001, involving parade incidents and injuries. 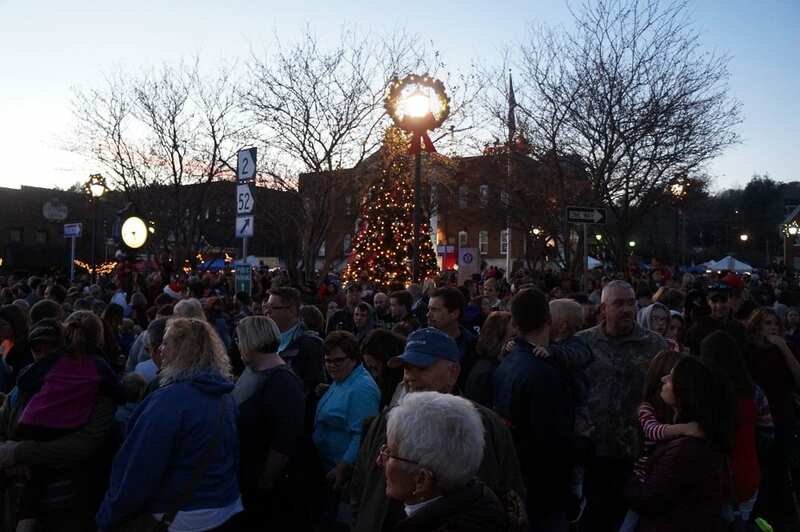 Crowds like the one at this year’s Light Up Ellijay further intensify the possibility of incidents. Though Light Up Ellijay is firmly in the city’s rear view, progress and meetings continue as the response and preparation for next year continue. Continuing in growth and popularity, citizens and officials alike will be closely watching downtown over the coming year in anticipation of another night like Nov. 24.